As a Michigan driver’s license restoration lawyer, I have written a lot about what it means to be sober, and how sobriety is a first requirement in order to win a Michigan driver’s license restoration appeal. I have also noted that the process of getting sober involved profound life changes, but we’ve never really taken the time to look closely at that process. For example, everyone knows that when someone gets sober, he or she ditches the drinking friends. A sober person will always have gone through a boatload of changes from the time he or she stopped drinking, including in his or her friendships. The contrast between then and now is always rather stark, but what about the actual process of getting sober, and the things involved in that, like ditching the drinking friends and establishing new friendships, or reestablishing those that have been damaged through one’s drinking? In this 2-part article, I want to examine the processes involved when a person goes from being a drinker to non-drinker, especially in light of how it fits squarely into the framework of a successful license appeal. One big misconception is that a person has to be in AA to win his or her license back. Alcoholics Anonymous is one of many ways to recover, and perhaps the most well-known of all the recovery processes, but it is not the only way people get sober, and it is absolutely NOT necessary for a person to be in AA to win a driver’s license restoration or clearance case. On that point, I put my money where my mouth is: I guarantee to win every license appeal case I take, and the majority of my clients are not in AA (although many have gone, even if just briefly, early in their recovery) at the time we begin the license appeal process. The notion that AA is necessary to win a license reinstatement case is really a leftover from the past, when Alcoholics Anonymous was pretty much the only way people knew about to get sober. Today, we understand that there isn’t any one specific method by which people get sober, but rather that there are as many ways to get sober as there are colors in a paint store. Yet for as different as those ways may be, there are also certain universal experiences that everyone has in making the transition to an alcohol-free lifestyle. It’s to those that we’ll direct our attention. It is important to understand that, in a very real sense, no one just up and completely “quits” drinking as easily as turning off a light switch. To put it another way, quitting is easy, but staying quit is a lot harder. A genuine decision to not drink anymore is almost always made after a person has hit the wall, or “hit bottom.” Especially early on, that commitment will really be put to the test. If you’re like most people, by the time your drinking has become problematic, it has long since taken over much of your life; where you’d go, who you hung with and what you did all revolved around it. Even those who “drank alone” developed a routine that became an established pattern in their lives; stop at the same stores, buy the same booze, and go home and drink the same way, until you got drunk and then passed out. It’s what you know, and often, all you know. In either case, no one decides to stop drinking because they’re having too much fun with it, yet everyone who has gone through the process of getting sober remembers that the early going was somewhat difficult, meaning the time immediately after quitting. Although most people don’t go through physical withdrawals, the first few weeks of “sobriety” may have seemed impossible and isolating. Even people who jump headlong into AA admittedly wind up exchanging an entire night socializing at the bar for a meeting that lasts about an hour, after which everyone goes home. What the heck are you going to do with the rest of your time? Will you ever have friends or fun again? Indeed, there is almost a “mourning period” where a person who has decided to stop drinking has to cut ties to the drinking world and then establish ties to a new life, and those new ties take time to develop. Still, at the end of the day, no one decides to quit drinking because it’s working out so well. People quit because they’ve had enough. They can’t take it anymore, and, as the AA people put it, they’re just “sick and tired of being sick and tired.” As everyone who is really in recovery knows, life while sober does eventually and inevitably get a hell of a lot better than it ever was when you were drinking (more on that later). The “mourning period” right after quitting is, of course, temporary, and fortunately, the empty spaces left by cutting alcohol out of your life soon enough get filled with much better things. These are some of the “universals” that everyone experiences on their journey to sobriety. What’s important, especially in the context of a driver’s license clearance or restoration case, is the intensity and strength of the experiences of those who really have had enough. In other words, lots of people will “quit” drinking, as in stop for a while, because a Judge orders them to, or because they are under threat from a spouse or a boss or someone else. Not drinking, in that sense, is nothing more than mere abstinence. When a person really knows that he or she has to quit for good, that awareness comes as a kind of epiphany, and usually follows some profound and often emotional event. There is no mistaking it when someone just can’t take it anymore and surrenders. My job, as a driver’s license restoration lawyer, is to capture that experience and translate it into the framework of a license appeal. To win your license back, you have to prove, by what the Michigan Secretary of State defines as “clear and convincing evidence,” that your alcohol problem is “under control,” meaning that you have a long enough period of sobriety, and that your alcohol problem is “likely to remain under control,” meaning that you have the commitment and the tools to stay sober. The decision to grant or deny your appeal is made by a hearing officer who works for the Secretary of State’s Administrative Hearing Section (AHS). The real “meat and potatoes” of a license appeal is whether or not you present as someone who is a safe bet to never drink again. The Secretary of State will NEVER even consider a license for anyone who still drinks, however occasionally, or who otherwise is perceived as a risk to ever drink again. When a person loses his or her license for multiple drunk driving convictions, the state classifies him or her as a “habitual offender.” As one hearing officer put it, “When you drove drunk the first time, you committed a crime; when you did it again, you became a habitual criminal.” It is way beyond any concern of the state’s how someone feels about that. The idea here is that a person with multiple drinking and driving convictions is CLEARLY a risk on the road, and rather than take a chance on his or her promise to never drink and drive again, any such concern is completely eliminated by only giving licenses back to people who don’t drink at all. People who do not drink are not any kind of risk to drink and drive. The hearing officer’s job is to make sure that nobody who is seen as ANY kind of risk to drink again wins back the ability to drive. This only makes sense, but then so does the idea of just filing a license appeal and proclaiming your sobriety and intention to remain sober. I get calls from all kinds of people who think I’m interested in taking their case (and their money) because they think they “get” this, and tell me they’re willing to say whatever it takes to win their license back. Let me dispel that straightaway: I ONLY want to take cases for people who are genuinely sober. The whole point of the license appeal process is to sort out those who have honestly quit drinking for good from everybody else. As it turns out, when you REALLY understand this stuff, you learn that the hallmarks of genuine sobriety cannot be faked, although that still doesn’t stop people from trying. Moreover, some people do try and quit drinking for good, but they do not, at the time, understand that they’re quitting for external reasons, like quitting for someone else, rather than quitting because they’ve really hit bottom. You’ll sometimes find this in people who have had prior periods of abstinence before they finally put the bottle down for good and truly embrace sobriety. Later on in this article, we’ll circle back to this topic and look at how life changes after a person truly quits drinking, and how those changes are the clearest markers of genuine sobriety. Faced with the reality that drinking is just not fun anymore and that the costs of drinking outweigh any kind joy from it (in clinical terms, we call this “tipping the decisional balance”), the lucky, sober person finally throws in the towel. Okay, so the decision has been made; what’s next? Most people will reach out for help, or call upon the lessons they learned in the past, through prior counseling sessions or AA attendance. This is something that I see all the time – people for whom the advice about getting and staying sober was ignored at the time they went to counseling or meetings, but for whom it suddenly becomes relevant and just “gels” when they finally hit the wall with their drinking. In fact, it’s far more common for someone who finally gets sober to have gone to all kinds of counseling and/or AA in the past, without success. Success typically comes later. 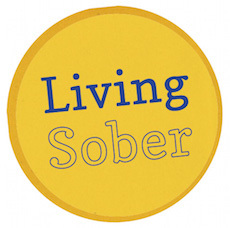 The process of getting sober means a person will actually have to start doing things besides drinking. And let’s face it, if drinking has been a part of your life for a long time, you may not have any idea of what to do, and maybe nobody to do anything with, either. By the same token, if you’re younger at the time you quit, it may be that all of your friends go out and party, especially on the weekends, and suddenly you’re just cut off from everyone and everything. No matter how you cut it, there’s going to be a period of adjustment. One absolute truth is that you do have to cut those ties. In AA, they have a simple but clear bit of advice: “Avoid wet faces and wet places.” It means stay out of the bar, the liquor store, and away from the drinking friends. Chances are that anyone reading this has done just that, even if they never heard it put the way the AA people say it. Anyone who thought that he or she could “quit” drinking but still go to the bar and have soft drinks certainly didn’t get very far. And you can take this to the bank; half-hearted measures never work. In sobriety, it’s all or nothing. For many people, the decision to finally quit follows any number of attempts to control, limit or otherwise manage the frequency or quantity of their drinking. That never works, either, and is actually a clinical marker of a drinking problem. No one can really see it at the time, but when you have to begin thinking about controlling your drinking, it means you already have a problem, and from that point point, the only thing that will work is to quit for good. Sadly, some people waste years, decades, and even entire lifetimes in that losing battle. In the real world, most people finally do quit drinking after hitting their heads on the wall one too many times and thereafter realizing that there is no way to control, limit or manage it. It’s often ugly at the time, but the wake up call always comes as a blessing, if not a blessing in disguise. We’ll stop here, and pick up in part 2, where we’ll look at the the real litmus test of genuine sobriety – how life gets better, and how that fits in to winning your license back.